CMTS operates Australia wide from a fully-owned modern facility in Hallam, Victoria and is supported by a qualified team of Technical Sales and Service Engineers. Our team is highly competent, factory trained, both within Australia and overseas. With over 30 years of experience in the metal manufacturing and engineering business, means you receive expert advice and service from consultants who know your business intimately. We have developed a reputation for quality products, excellent service and professional reliability. We are committed to providing our clients with complete customer satisfaction in a rapidly changing market. Proudly an Australian Owned Family Company. DANOBAT Sheetmetal Products include Punching, Laser, Punching + Shearing, Punching + Laser, Bending. They are Specialists in machinery with large working areas and high speed, enabling the customer to achieve greater production volumes and a better use of the material. They have integrated most of the sheet metal processes into a single machine, with fast and user friendly automation at their Sheetmetal working division in Northern Spain, featuring the latest E Technology Innovations. DERATECH specialize in designing and manufacturing in the field of Press Brakes and Shears. The Deratech headquarters for research, design and assembly is based in Belgium with subsidiaries all over the world. Deratech design and construct with creativity technology and care, offering customised solutions for customers requests. 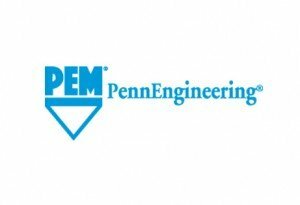 PENN Engineering provides self clinching fasteners and fastener installation equipment with design and product solutions worldwide for diverse industries, including electronics, computer, data/telecom, medical, automotive, marine, aircraft, and general manufacturing. Bollhoff produces a large range of tooling and machines based on clinching (SPOT CLINCH®) and stitch folding ( TAGGER® ) joining Techniques. The method of joining Sheetmetal by localised cold forming of the materials. The produces an interlocking joint between two or more layers of material. Joining techniques can be used to join steel and stainless steel materials as well and /or non ferrous materials, based on a cost effective, environmentally friendly process, it is simple, ecologic and allows to reduce costs. Coated and painted sheetmetal can also be joined together without altering the surface finish. © 2019 CMTS. ALL RIGHTS RESERVED.